Simmer the cajeta. In a medium-large (6-quart) pot (preferably a Dutch oven or Mexican copper cazo), combine the milk, sugar and cinnamon stick and set over medium heat. Stir regularly until the milk comes to a simmer (all the sugar should have dissolved by this point). Remove the pot from the heat and stir in the dissolved baking soda—it’ll foam up if the goat’s milk is acidic. When the bubbles subside, return the pot to the heat. Finish the cajeta. 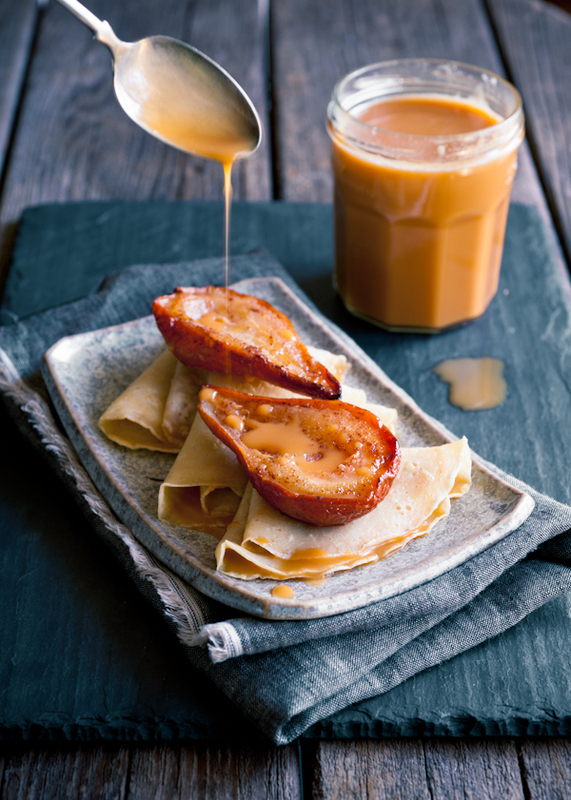 Pour the cajeta through a fine-mesh strainer set over a bowl or a wide-mouth storage jar. 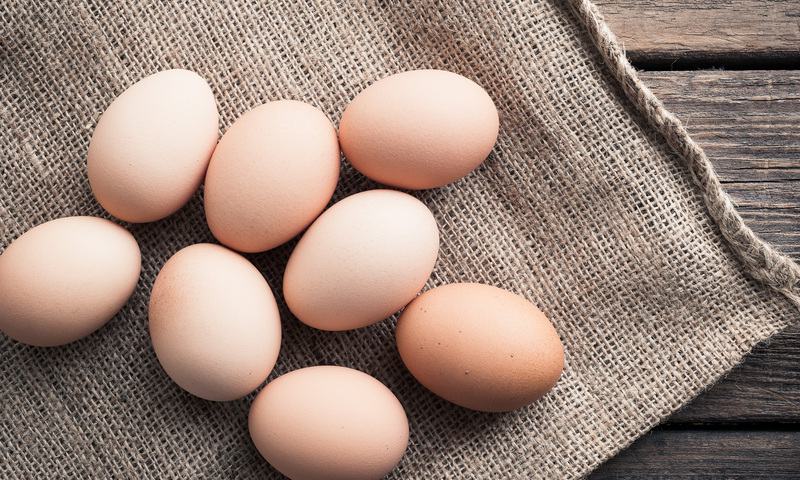 When cool, cover and refrigerate until you’re ready to serve. Warming the cajeta before serving (a microwave oven is efficient here) makes it extra delicious. Crêpes from Dara & Co.
As always, I used Jules Gluten-Free AP Flour in place of regular in this recipe. I also added a pinch of salt because I find this GF flour needs it. Place eggs, milk, water, flour, and 3 Tbsp. butter in a blender and blend until smooth. Heat a small nonstick skillet over medium heat. Brush the pan with a little bit of the remaining melted butter, then swirl in about 3 Tbsp. of the batter to form a thin pancake the size of the pan. Cook until lightly browned, gently flip, and cook for just a few seconds on the second side. Serve warm. Preheat oven to 375 degrees. Peel pears if you like (I didn’t), halve them lengthwise and core. Place cut side up in a roasting pan and sprinkle with lemon juice. Sprinkle sugar evenly over pear halves and dot with butter. Pour water into the roasting pan and bake pears for 30 minutes, basting with pan juices a few times. 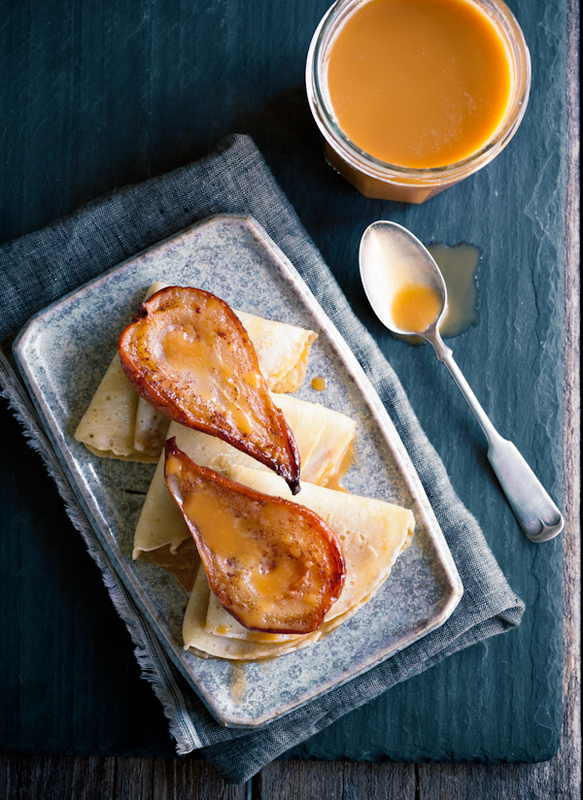 Flip pears over and bake an additional 30 minutes, basting with pan juices a few times. Pears are ready when a knife slips easily into the thickest part. 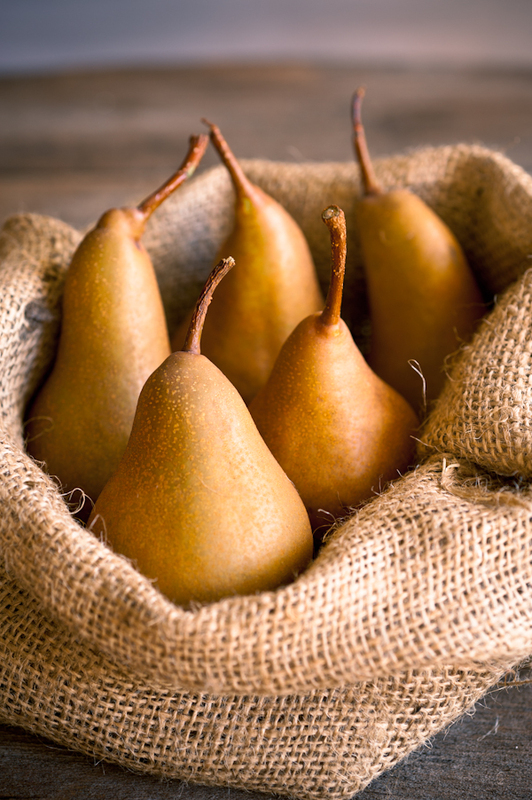 Allow pears to cool to room temperature before serving. Heidi, I’m so jealous that you might get to try this with fresh goat’s milk. Will you let me know how it turns out? It might be something I have to search for. Gorgeous shots! That pear photo is stunning! And this recipe looks incredible! I am definitely going to have to give this a try. I don’t know what it is but that shot of the pears is just incredible. I keep coming back to look at it. I’ve had lots of dulce de leche in my life, but never cajeta. I’ve got to see if I can find some goat’s milk! Oh, Erin, you won’t be sorry. Cajeta’s addictive! My brother recommended I might like this blog. He was entirely right. I like the recept with Chocolate Mousse!! These crepes look amazing and I can’t wait to try them. I’ve never made cajeta before but I’m pretty sure I will love it! Thanks for the crepe inspiration! Never heard before of crepes with roasted peaches! Will definitely try this out. Thanks!